​John has been working with the Forest Preserves of Cook County (the “Preserves”) since June of 1994 after earning his degree in Forestry at Michigan Technological University. John participated in his first prescribed burn in the fall of 1994 at the Preserves’ Cap Sauer’s Holding and was quickly infected with the burn bug, despite the site being a woodland and not the raging inferno that many new crew members may expect! The Preserves did not have a formal burn program at the time, and while working he volunteered to burn as much as possible to further his experiences. the general ​public, but other Forest Preserve staff as well. In response to opposition from the reintroduction of prescribed burning in the North Branch during the mid-2000s, John was appointed as the lead contact between the Preserves, the community, and local elected officials in order to successfully advocate for land management and uphold prescribed burning in the area. With the support of the Preserves’ administration John was able to ensure that burning was resource management staff’s top priority during the burn window. John also developed specifications to contract prescribed burning across the Preserves and further the use of this tool, which has dramatically increased the number of acres burned each year. 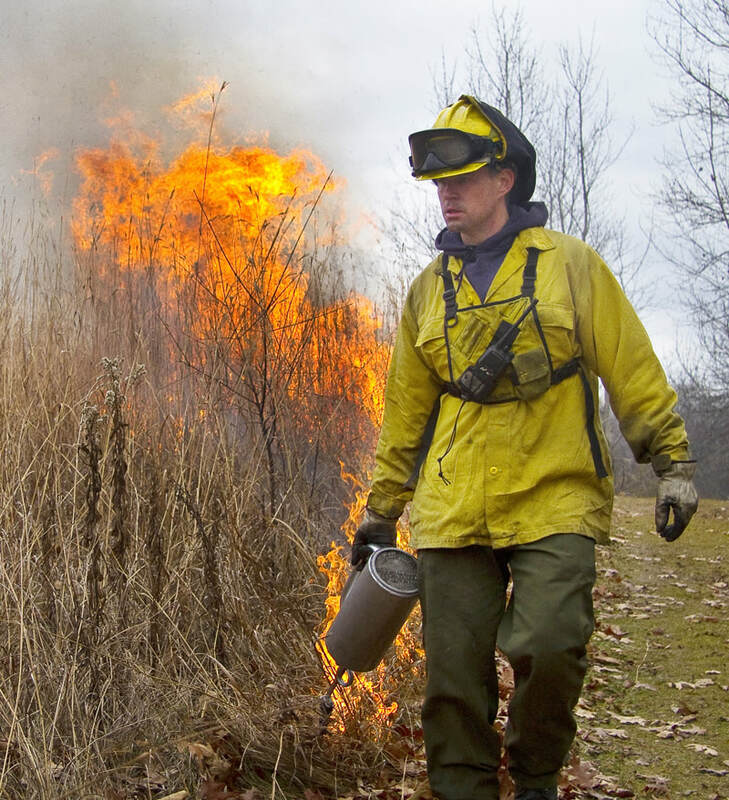 John continues to be a lead instructor for the Chicago Wilderness Midwest Ecological Prescription Burn Crew Member training course, where over 2,000 participants have earned certification since its inception in 2001. In John’s 20-plus years of burning with the Preserves he has participated in over 600 fires and continues to lead burns, or serve as a crew boss or crew member on fires - depending on how he feels that day! The Preserves' burn program is stronger than ever, having completed its most successful season this past spring with over 7,200 acres having been burned. John enjoys the challenges of implementing this most valuable of management tools in the second most populated county in the country, and looks forward to working with everyone on the council to further the acceptance and use of prescribed fire now and in the future.